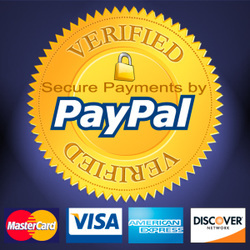 For buyer and seller reassurance all your card payments are securely processed through PayPal. You do not need PayPal account to use the service. At Checkout you will be offered the choice of using an existing PayPal account or your credit / debit card.